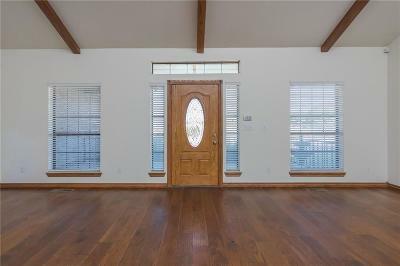 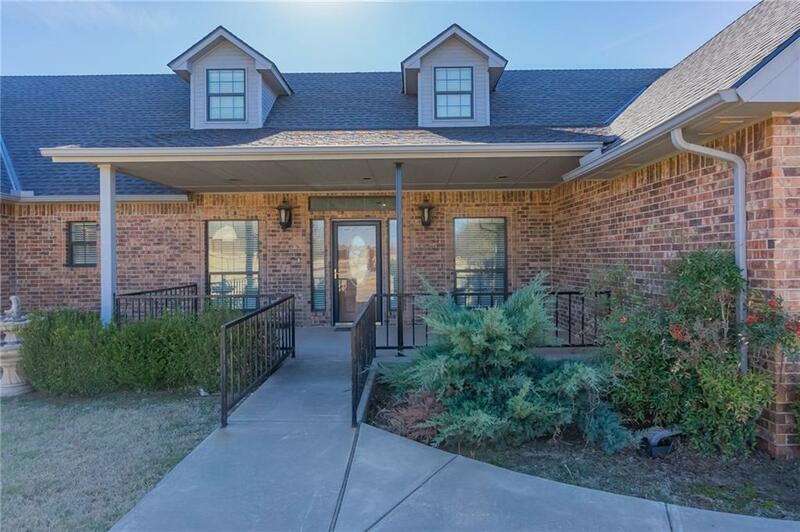 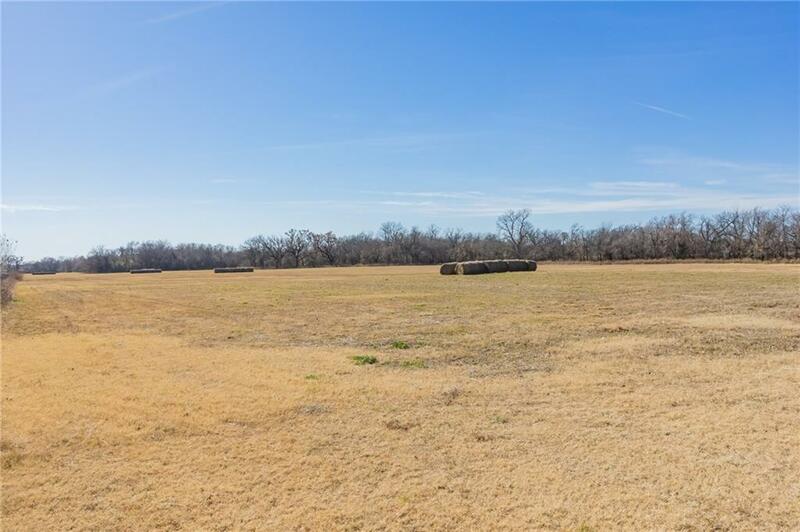 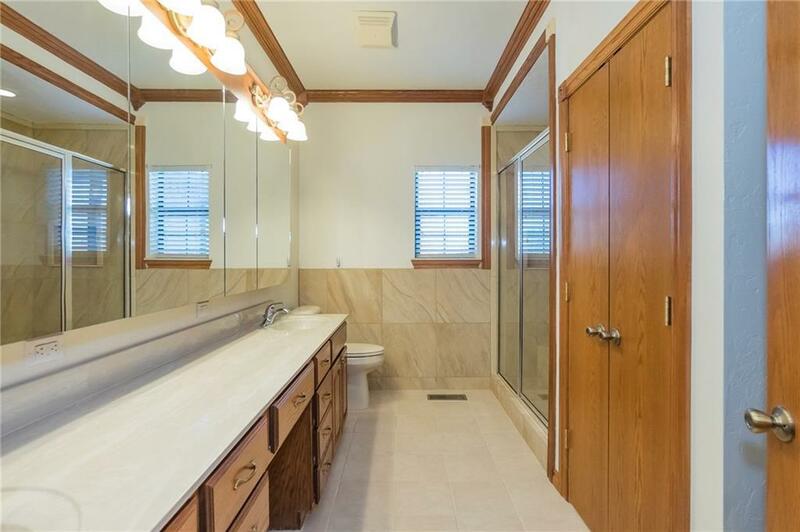 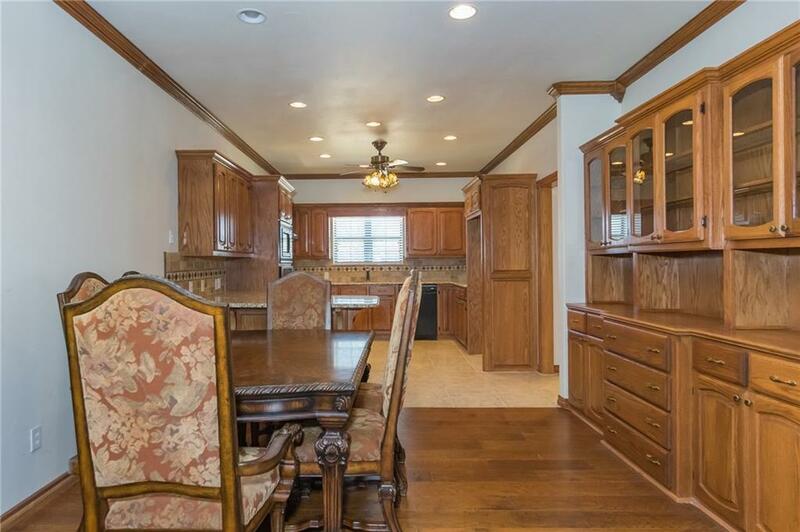 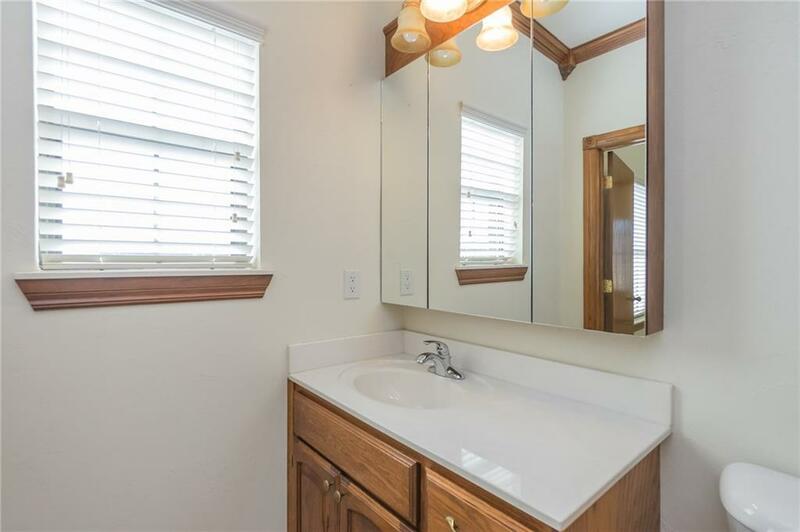 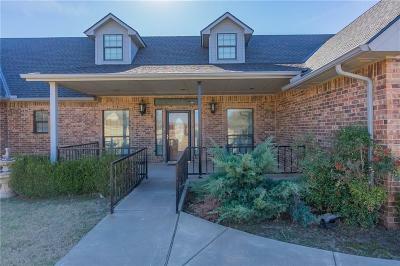 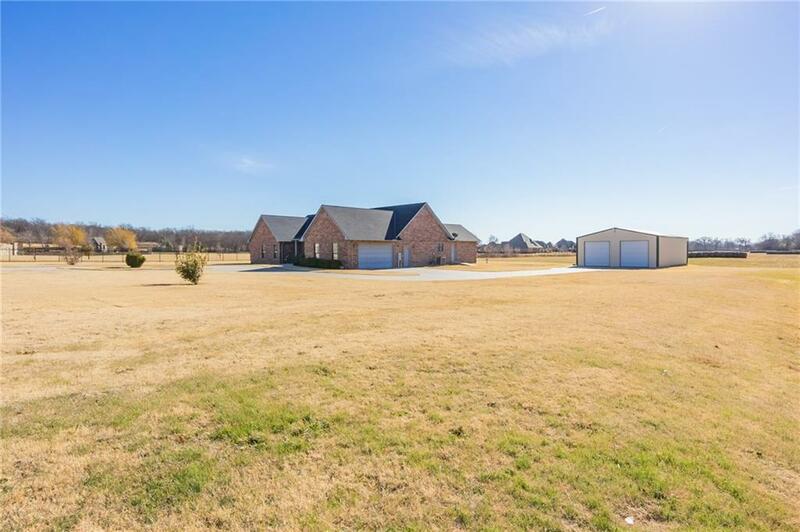 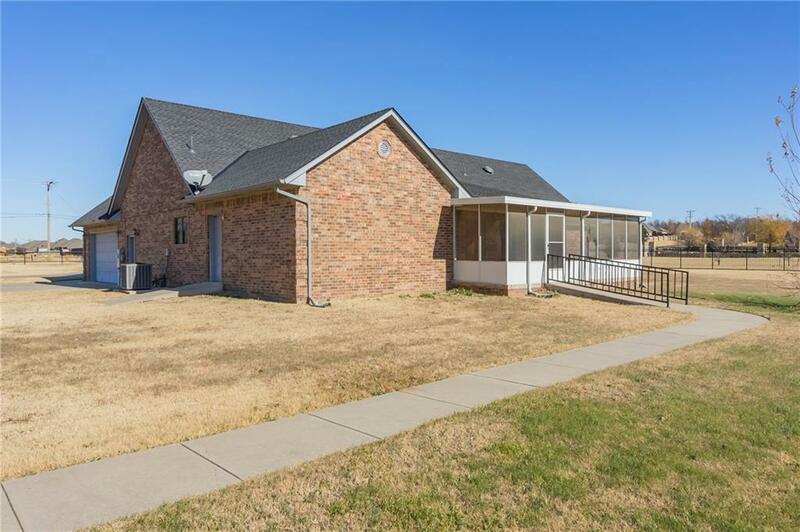 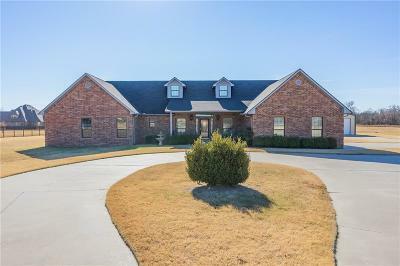 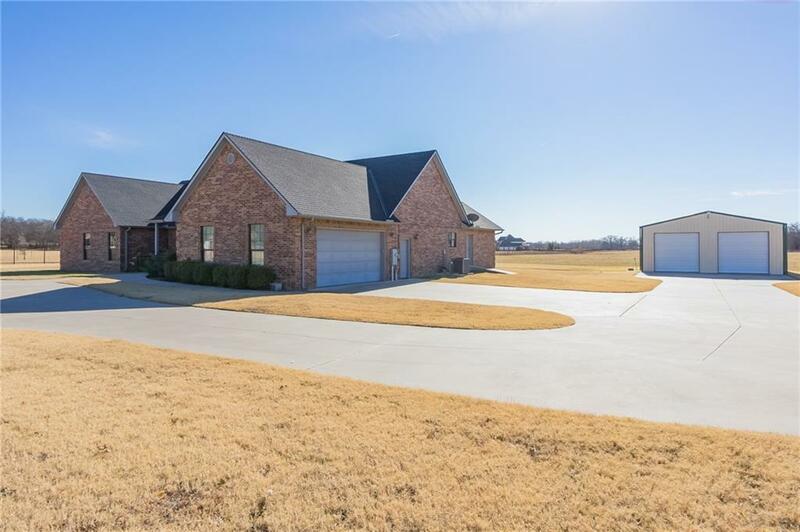 Stunning location in SE Moore. 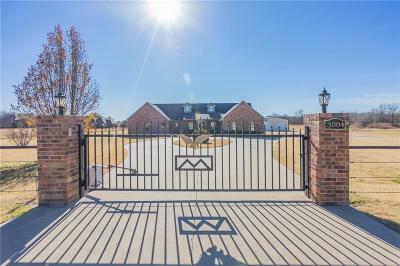 Behind the gates, around the circle drive and as you step into this home you'll feel the warmth and comfort of country life. 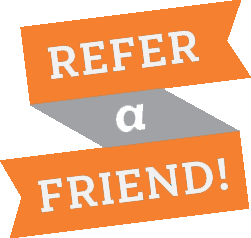 Minutes to Norman, OKC or Tinker A.F.B. 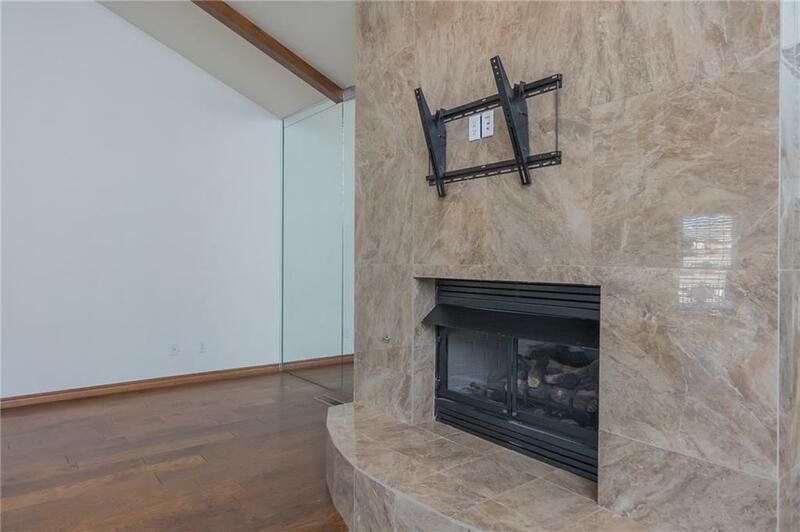 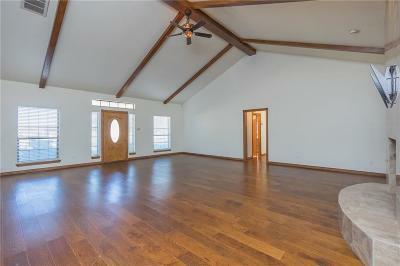 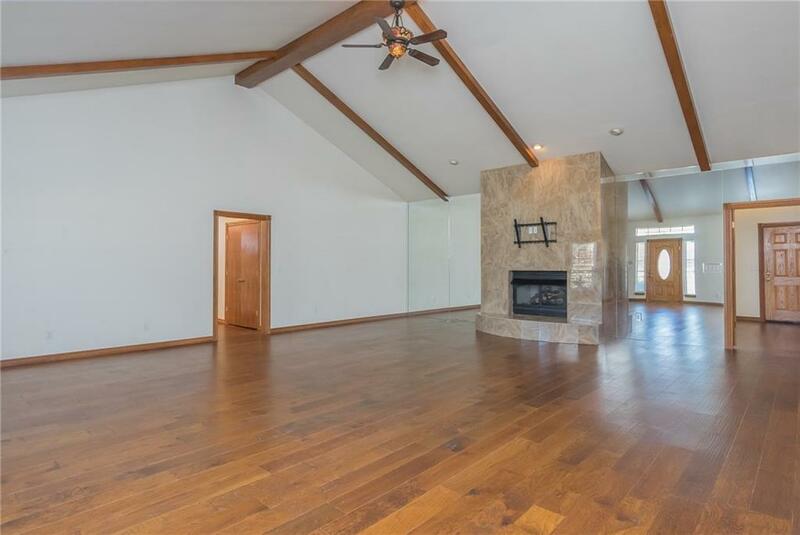 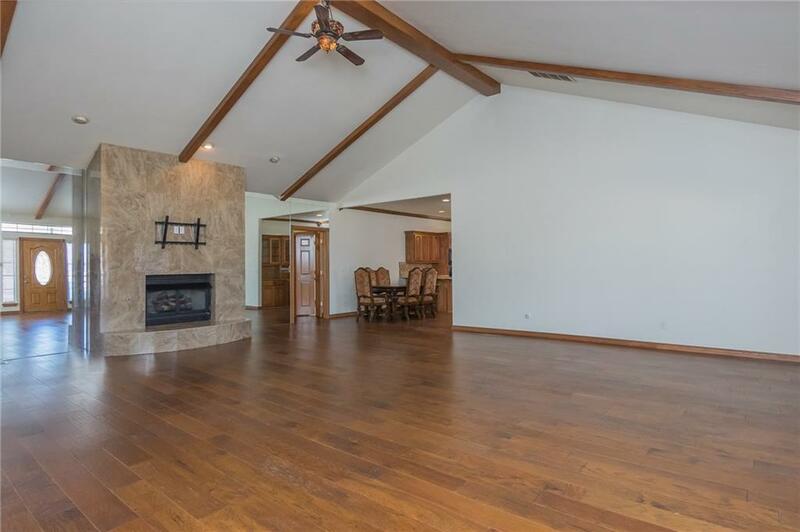 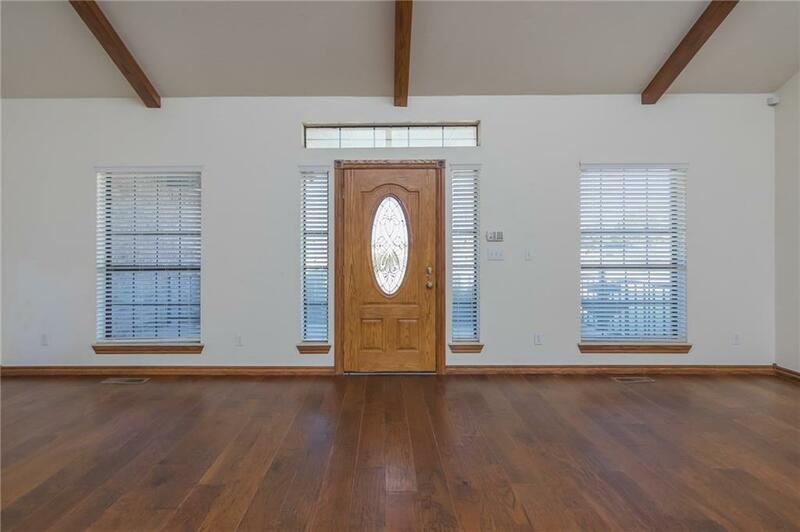 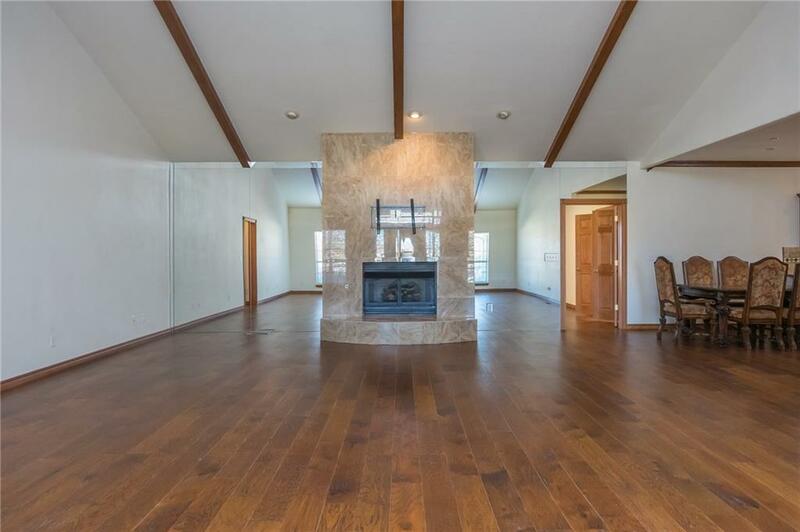 Massive 26x28 living room, soaring cathedral ceiling with wood beams, gleaming warm wood floors, lots of space to gather around the large fireplace in this 2,972 sf. home. 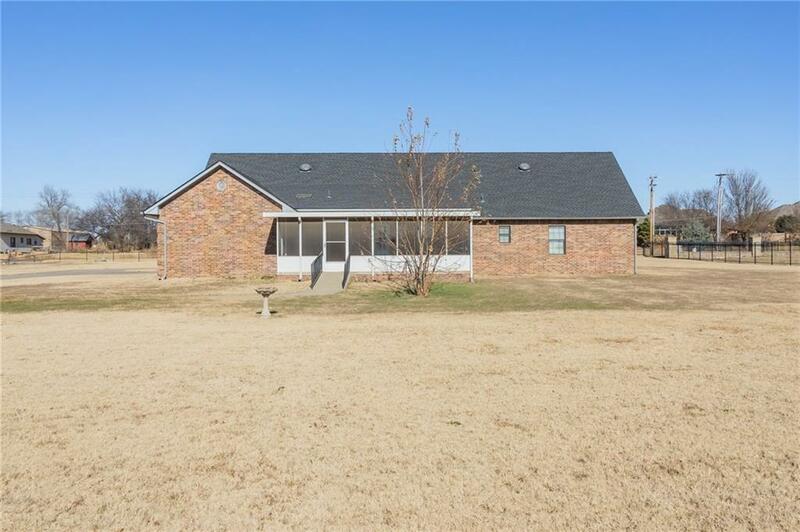 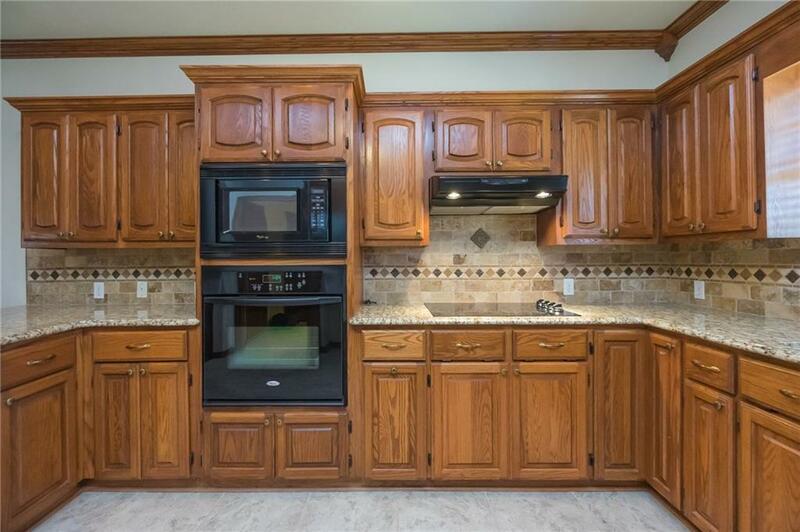 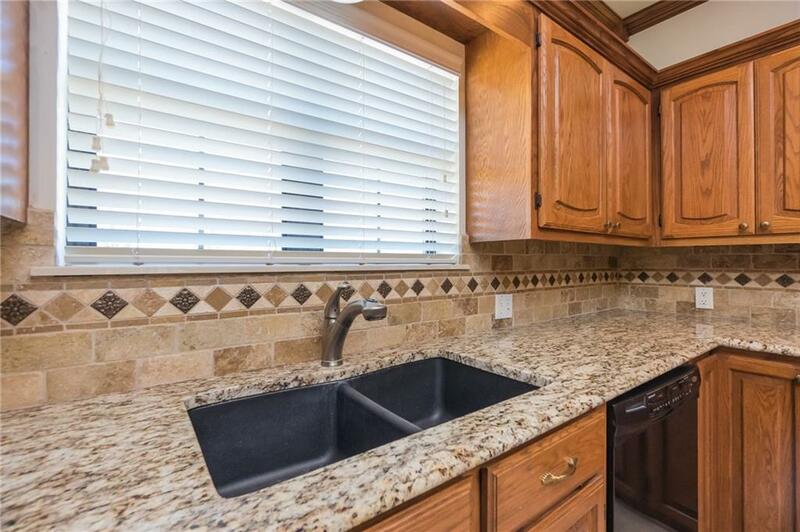 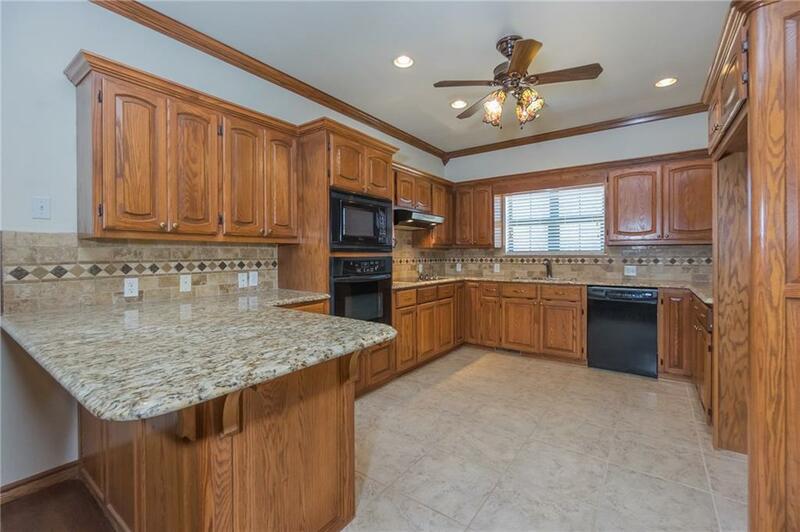 It's a 2-cook kinda kitchen, granite countertops, wood cabinets, composite sink and a window over looking the 5 acre pasture. 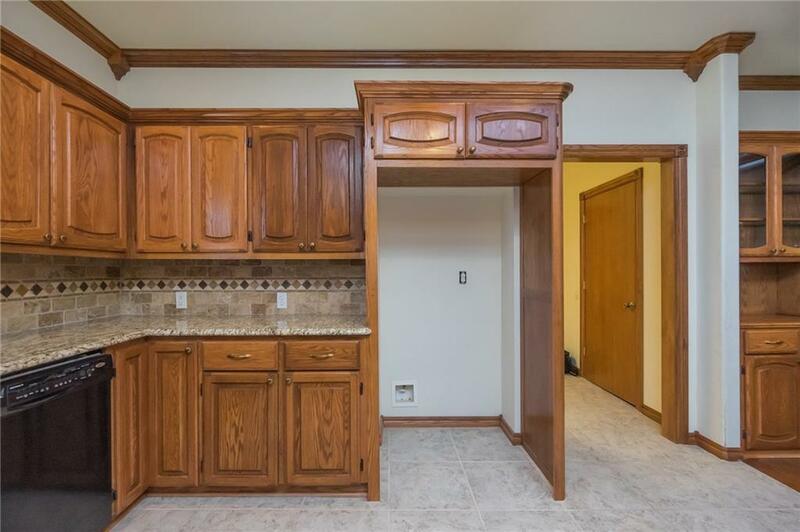 Breakfast bar and builtin display hutch in dining room. 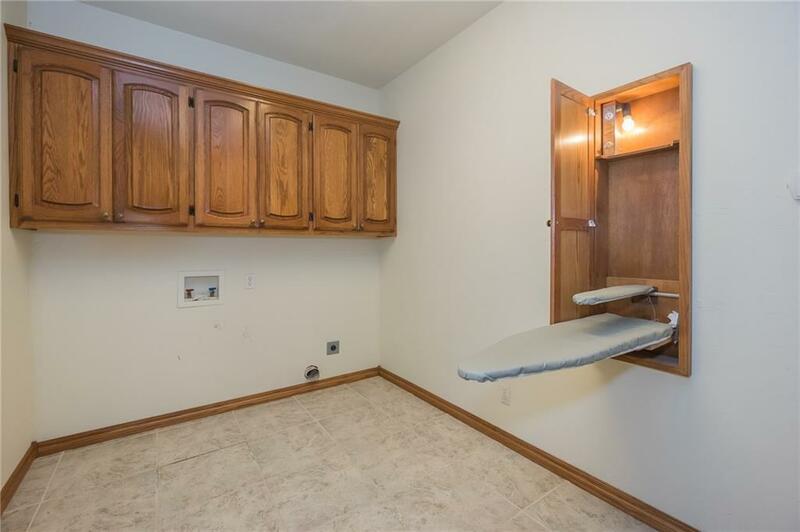 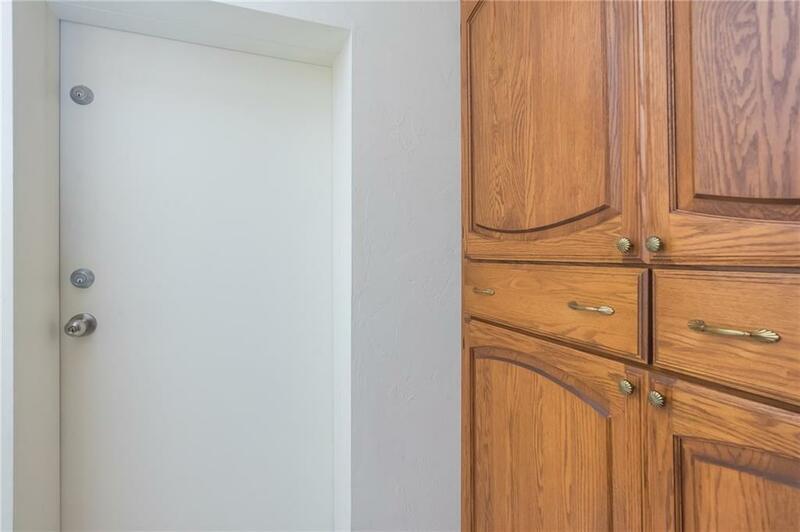 Huge laundry room makes even the mundane a pleasure, and walk in pantry. 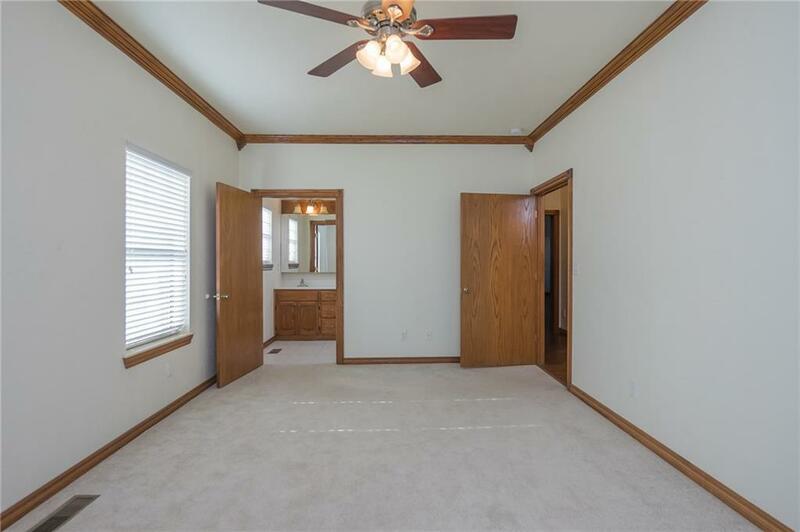 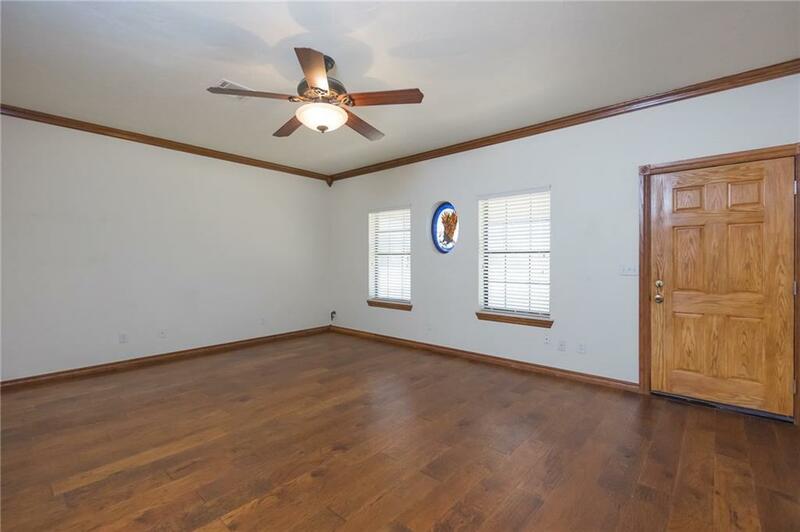 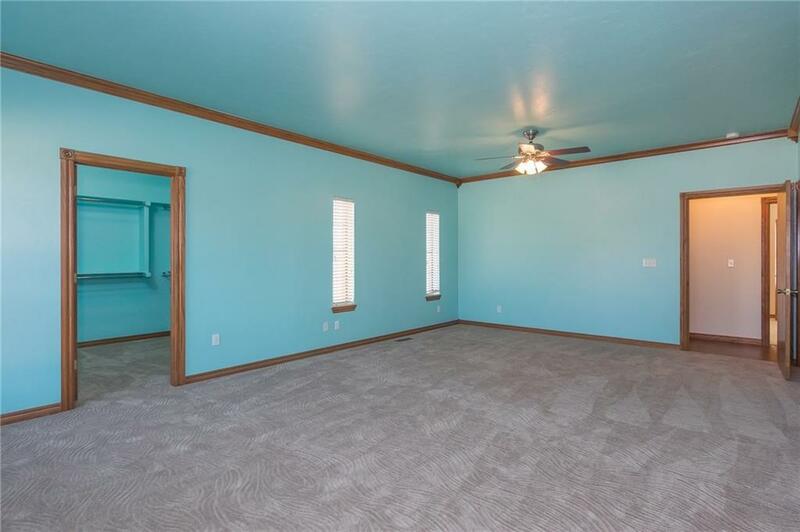 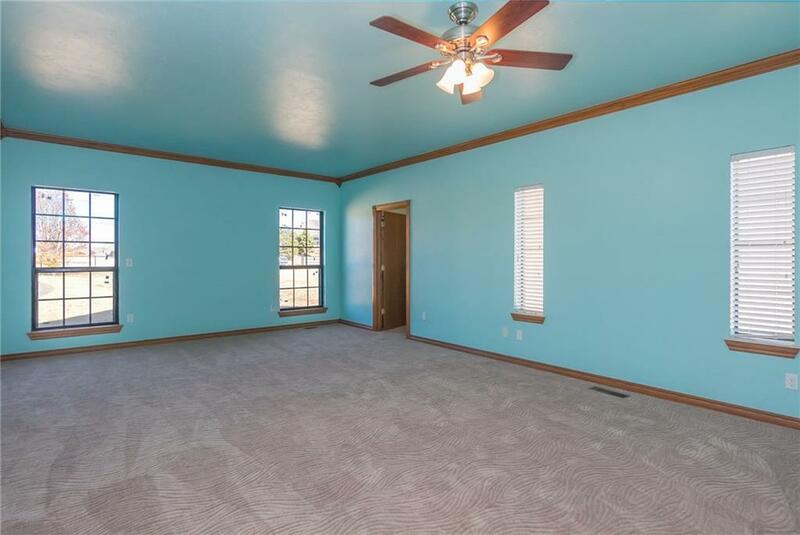 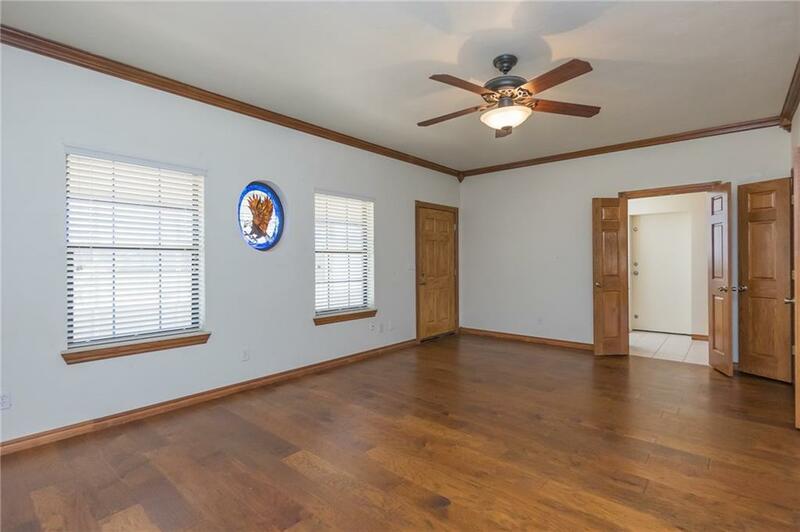 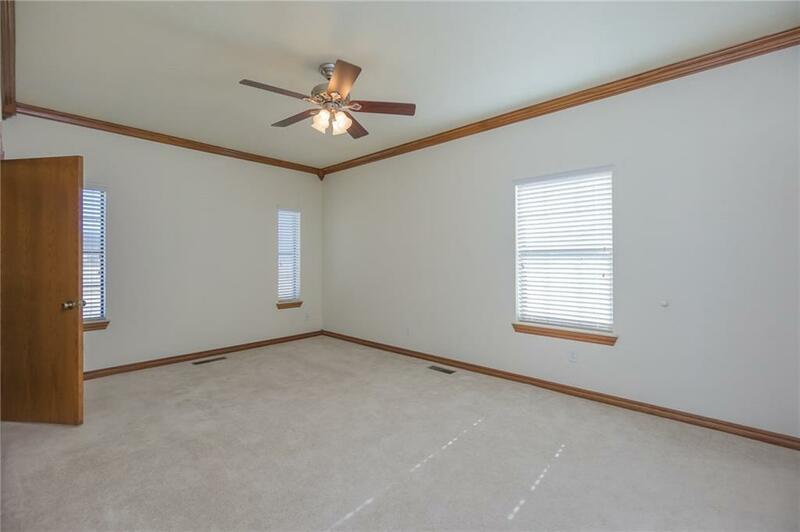 Room for crafting, hobbies, storage. 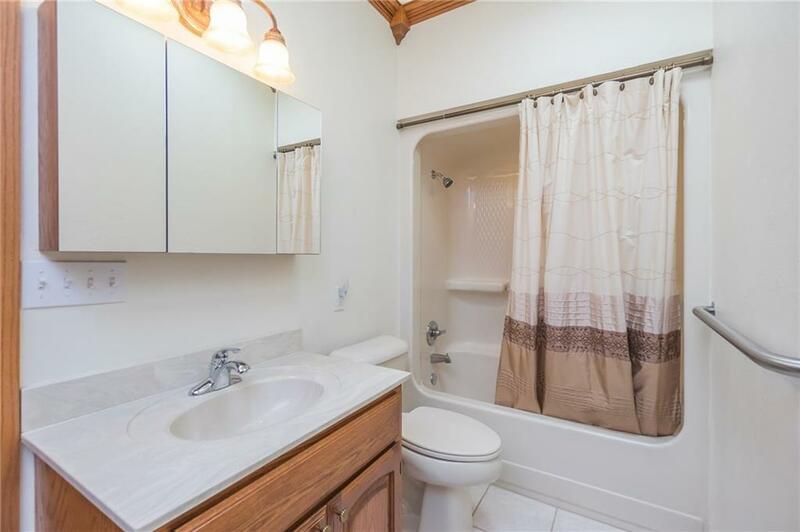 Oversized master bedroom has extra large closet, ensuite bathroom has double vanities and easy-access step in shower. 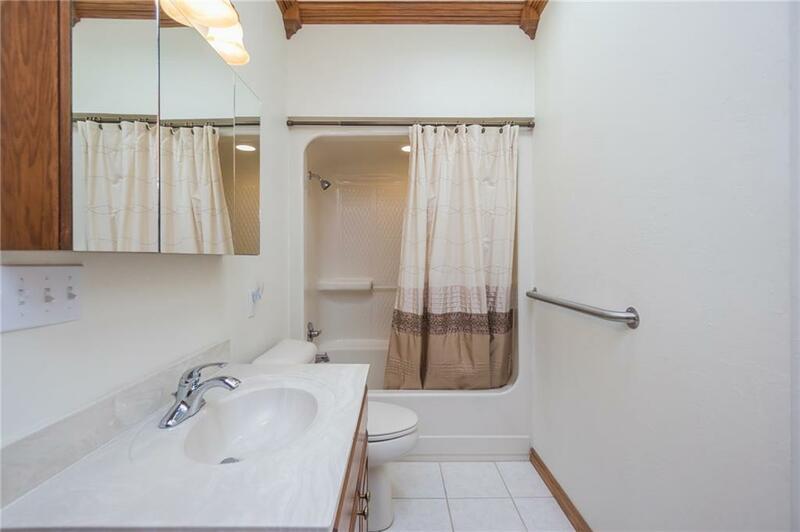 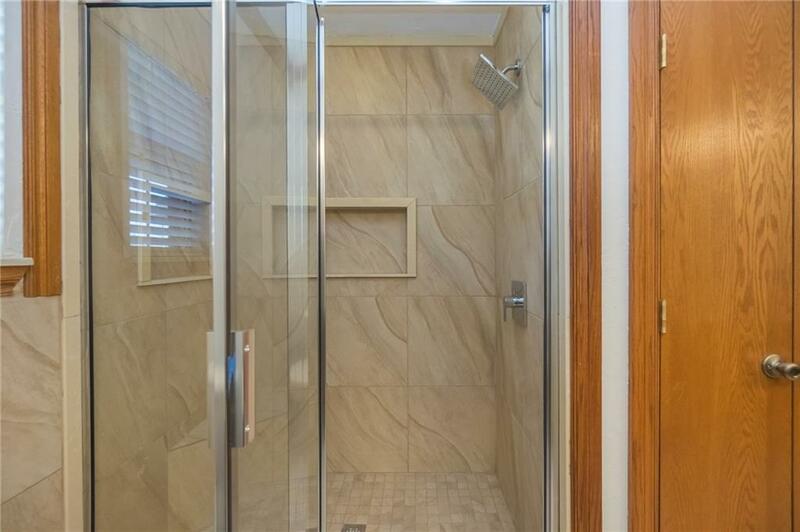 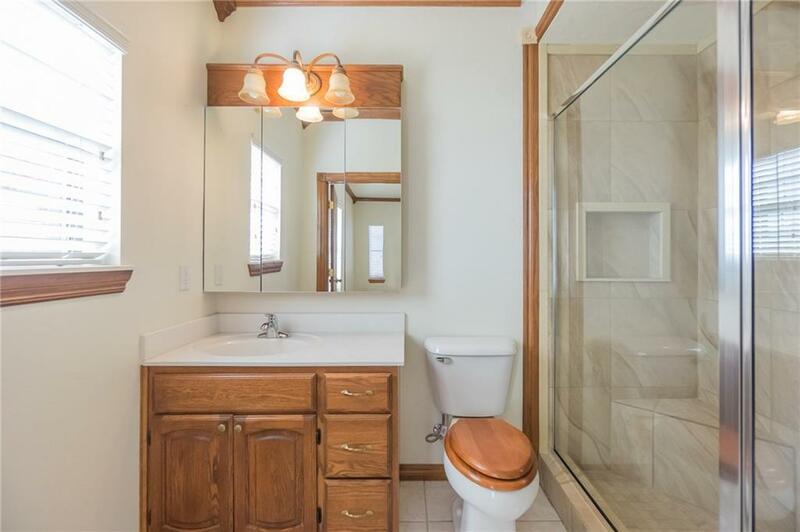 2nd bedroom has private bathroom with easy-access step in shower, ideal for multi-generational lifestyle. 16x16 saferoom. 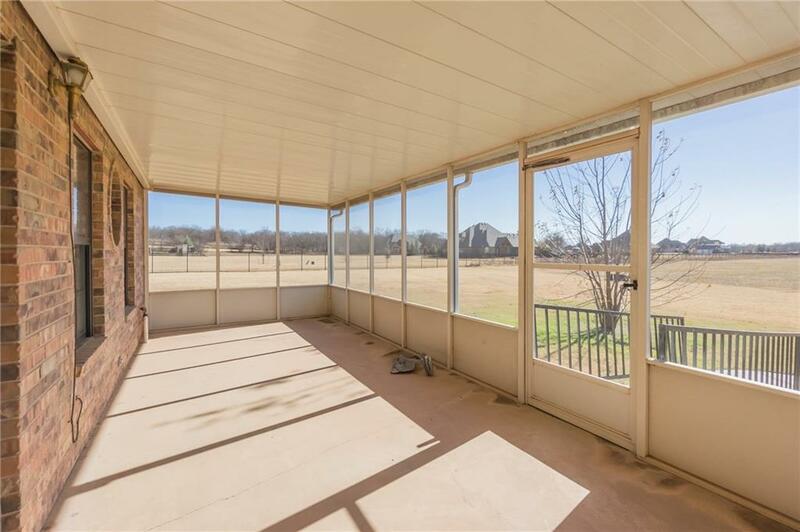 Screened back porch with forever views of the horizon. 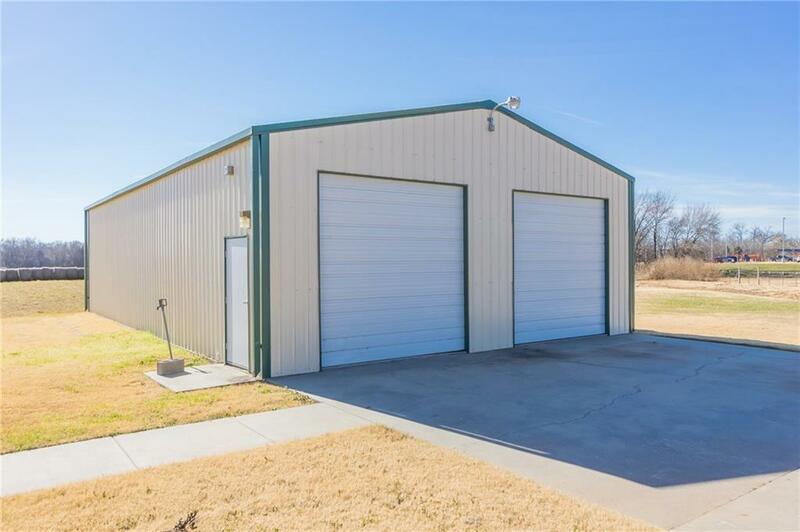 Oversized 2 car garage and 30x50 shop.